An 18-year-old Robbinsdale man was charged Monday with killing another man in a botched drug deal in Minneapolis. The NFL suspended Super Bowl MVP Tom Brady for the first 4 games of the season, fined the Patriots $1M and took away two draft picks as punishment for deflating footballs used in the AFC title game. The man who called 911 to report he was involved in a shooting with George Zimmerman appears to be the same person involved in a road rage incident with him last year. Paul Douglas and Ron Schara are among the 2015 inductees into the Minnesota Broadcasting Hall of Fame. Minnesota Court of Appeals rejects lighter sentence for former officer Bradley Schnickel. A St. Paul Harding student accepted to all eight Ivy League schools turned them all down -- his choice college still has cachet, though. U.S. agency approves Shell's Arctic drilling plan off Alaska's northwest coast. Police officers acted properly when they shot a motorist after he struck them with a car in an MSP parking ramp last month, according to results of an investigation. Gov. Mark Dayton is on board the Hillary Clinton campaign. He's hosting an organizing meeting for her. Olive Garden's breadsticks will be available as sandwiches. 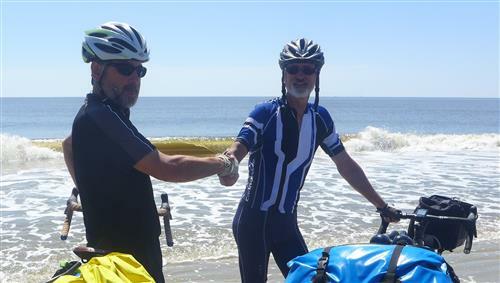 Pedaling America: After seven weeks and one day - and 3,000-some miles - our blogging bikers have hit the Atlantic shore. Shakopee 8th-grader among finalists in D.C. today for National Geographic Bee. Testing their skills on California roads, 4 of the 50 self-driving cars have been in accidents. Dozens injured, 2 dead after tornadoes hit Texas, Arkansas. Billionaire CEO of a Chinese conglomerate rewards 6,400 workers with a vacation in France at cost of up to $22 million. The Snelling Avenue bridge over I-94 and eastbound ramps to and from Snelling are closed for construction. The latest on your commute on The Drive. Good morning! Today will be mostly cloudy with lingering showers. High: 63. About two dozen people were injured and some homes destroyed Sunday night after a severe storm struck the small town of Van in northeast Texas. Two killed in separate Minnesota crashes, State Patrol says. Target ball Web craze is rolling merrily along. One dead, three wounded during annual Mother's Day motorcycle bike blessing event. The last of three Wisconsin prison escapees was arrested in Minneapolis. Hamline University launches a bullying prevention program for teachers. LeBron's buzzer-beater lifts Cavaliers over Bulls, ties playoff series at 2-2. 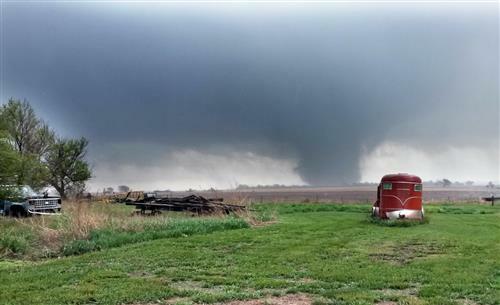 The latest from the South Dakota tornado: Nine were hurt in Delmont, but none of the injuries are life-threatening. There's no series sweep for the Twins. They lose to Cleveland 8-2. One of the 2 men who were shot dead in St. Michael is ID'd as an off-duty Elk River cop; his son is in jail accused of shooting both. Twins are without Trevor Plouffe today for the afternoon game vs. Cleveland. His plane didn't make it in time. Two men are killed in a St. Michael home Saturday night; 1 person was arrested, according to Wright County authorities. A man is shot dead overnight. Police found his body in the street near W. Lake St. in Minneapolis. Happy Mother's Day! The weather will be breezy and unsettled. Best chance of rain is in the afternoon. High: 62. UPDATE: At least 1 dead and others are unaccounted for after multiple tornadoes touch down in North Texas. Powerful Typhoon Noul is gaining strength as it zeroes in on the northeastern tip of the Philippines, where 1,400 people have been moved from unsafe coastal areas. Two Mississippi police officers have died after being shot in the line of duty, and the search is on for the gunman. To neighbors, Sylvia Hofstetter was a wealthy businesswoman and grandmother. Then the FBI raided the health care administrator's Knoxville, Tenn., home, accusing her of running a string of pill mills that raked in $17.5 million in four years. A man surrendered to Wright County authorities at a Monticello convenience store Saturday night after sheriff’s deputies responded to reports of a brother-on-brother shooting in St. Michael. "They’re asking me about the ‘bromance,’ ” Brian Dozier said with a laugh Saturday about a photo of a hug between Joe Mauer and him after they collided Friday. Listen to Prince's new song, "Baltimore," referencing the death of Freddie Gray. The singer released it Saturday via Twitter and Soundcloud ahead of Sunday's concert. The driver fatally shot during a traffic stop on Interstate 694 in Fridley has been identified by state authorities as a 31-year-old New Brighton man. U.S. Attorney Andy Luger sat down with members of the Somali-American community in Minneapolis and faced questions about the latest ISIL-related investigation, especially over the use of informants and recordings.